If you have been – truly – injured in the workplace and would like to – legally – obtain a workers’ compensation for your lost wages, medical expenses and other damages, consult our best workers’ compensation lawyers in Van Nuys. On behalf of Koszdin, Fields, Sherry & Katz posted in Workers Compensation on Thursday, December 28, 2017. Workers’ compensation policies in Van Nuys and elsewhere in Los Angeles can be pretty hard to digest and understand for an average person with no law degree. But if you get to the bottom of these policies, which allow employees to receive compensation wage loss for work-related injuries, they can become a source of illegal income for crafty and dishonest employers and employees. Have you thought that workers’ compensation claims are being thoroughly investigated and strictly regulated? Well, think again! Earlier this month, a bizarre workers’ compensation fraud case grabbed headlines all across California. A local employer, Carlos Valencia, was arrested on suspicion of defrauding his workers’ compensation provider. The alleged fraud came to light after the deaths of two of his workers employed in his tree trimming company called Valencia Tree Trimming. An investigation into the deaths of Osvaldo Ceron and Ernesto Hurtado, who were electrocuted while performing their duties, shed the light on Valencia’s fraudulent practices. Investigators believe that the employer misclassified Ceron and Hurtado’s jobs to appear less risky than they actually well. This allowed Valencia to defraud his workers’ comp provider for about $100,000. But our Los Angeles workers’ compensation attorneys at Koszdin, Fields, Sherry & Katz say that Valencia’s fraud is not the most bizarre workers’ compensation fraud in history of the U.S. 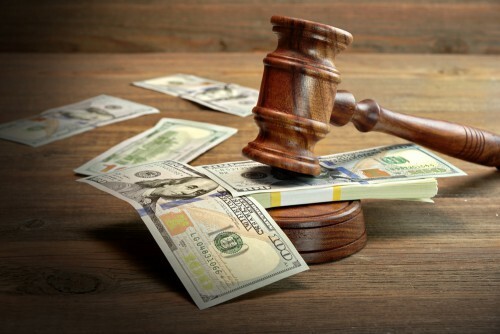 Numerous employers in the U.S. are guilty of this one: misclassifying employees or misrepresenting their pay rates to the State Compensation Insurance Fund (SCIF) to pocket a portion of their workers’ compensation benefits. Establishing a shell company only to purchase a workers’ compensation policy. Then telling the workers’ comp provider and insurer that you employ a certain number of workers. Then simply “rent out” workers’ comp benefits and policy to others. However, not only employers are so crafty when it comes to defrauding workers’ comp providers. It’s not uncommon for employees to obtain compensation wage loss and disability benefits by filing a claim for an exaggerated injury (claiming that you can’t return to work, when you actually can, all the while collecting workers’ comp checks). Also, many employees get away with filing a claim for a personal injury while lying that the accident occurred in the workplace. One woman was exposed when she admitted in her Facebook post that her slip and fall accident actually occurred at a nearby gas station (after getting workers’ compensation for saying that the incident took place on the job at the premises of the company). Last but not least: faking an injury. While many employees in Van Nuys and elsewhere in Los Angeles have done it, there’s one case in particular that truly stands out from the crowd. A Florida man, named Bruce Gilbert, was able to collect over $750,000 over 10 years of faking that he was permanently disabled. The man worked as a bus driver and filed a workers’ compensation claim after lying that he sustained a slip-and-fall injury while performing his duties. Gilbert’s wife helped him pull this off. The man pretended to be mentally impaired and answered questions in a childlike voice whenever investigators came visiting. But then Gilbert’s grand fraud came crashing down when one investigator caught the former bus driver red-handed driving, hunting and playing golf. Gilbert manifested no signs of disability or mental impairment. The married couple was convicted of workers’ compensation fraud and had to reimburse the insurer $700,000. If you have been – truly – workplace injury and would like to – legally – obtain a workers’ compensation for your lost wages, medical expenses and other damages, consult our best workers’ compensation lawyers in Van Nuys. Let our attorneys at Koszdin, Fields, Sherry & Katz evaluate your damages, document your injuries and prove that they are work-related. Call our offices at 818-812-5639 or (toll-free) 800-747-3447 or complete this contact form to schedule a free initial consultation.